Today, Illinois Governor Bruce Rauner signed House Bill 40 into law lifting the ban on insurance coverage for abortion for women enrolled in Medicaid or state employee health insurance. The bill also removes a “trigger” provision in state law to ensure that abortion will remain legal even if Roe vs. Wade is rolled back. “Today, Illinois became the first state to lift its restriction on Medicaid coverage of abortion in decades. Because of this action, women in Illinois will no longer be barred from using Medicaid coverage for abortion. 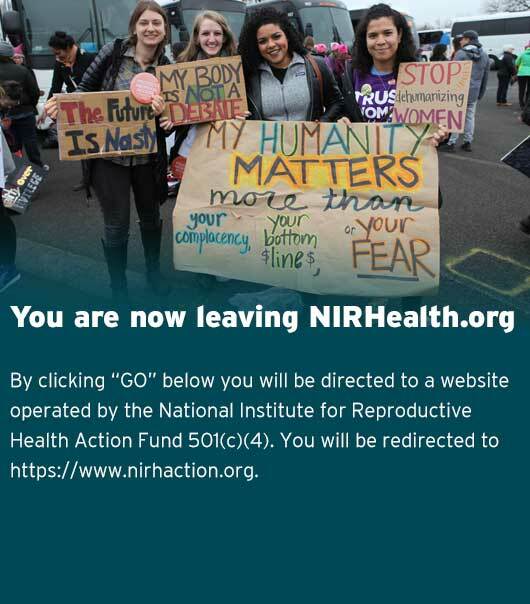 The National Institute for Reproductive Health (NIRH) is proud to have supported this effort in Illinois and to be part of the growing movement to end all bans on insurance coverage of abortion. We thank Gov. Rauner for standing up for the countless Illinois residents who have been denied abortion coverage for far too long. But he did not get there alone. This victory would not have been possible without the hard work of our partners on the ground, the ACLU of Illinois and All* Above All, along with activists who were relentless in their efforts to press the governor and build local support for this bill. Now, Illinois has the proud distinction of becoming the third state this year – alongside New York and Oregon – to expand insurance coverage for abortions. NIRH arms advocates and policy makers in states and cities with the tools they need to ensure that all women can access abortion and other reproductive health care affordably, in a timely manner, and with support and dignity.